Have I geeked out at you yet about SF&F writer Elizabeth Bear? No? I’ll have to do that, because she’s awesome. In the meantime, she has a new book out this week, Range of Ghosts. It’s epic fantasy inspired by Genghis Khan, and you can read about it in a Big Idea piece on John Scalzi’s blog. Somebody has re-created what Shakespeare’s works sounded like in the original pronunciation. Scientists have figured out how to make cyborg snails (aka the mollusc militia). The New York Times interviews scientist Rachel Graham, the Jane Goodall of sharks. Offbeat Home finds a Belgian B&B that belongs in a fantasy novel. If you’re writing fantasy or science fiction, Juliette Wade offers some ways to approach measurements in your worldbuilding. Deborah Biancotti points out that we are all running our own race. Hope to see you back here on Monday, when I’ll be talking about Queen’s Man, the new science fiction release from KD Sarge at Turtleduck Press. Until then, happy weekend! 3. Copy down the next 7 lines, sentences, or paragraphs, and post them as they’re written . Here’s my contribution, an excerpt from a YA science fiction novel set on a spaceship. Since page 77 happens to be the a short page, you only get 7 lines. “And what then? Can they think? Can the procedure be reversed?” she asked, already suspecting she knew the answer. Since this novel is still in the first draft stage and I’m planning on sending it through the traditional publishing route, that’s all you’ll see of it for quite a while. Hope you enjoyed the sneak peek. …help, I’ve run out of writers I know who haven’t done this meme yet! If you’d like to play, just leave a comment to that effect and I’ll add you to the list. See you on Friday with my roundup of the best links of the week! This week, we’re returning to the topic of steampunk. (See my post Defining Steampunk. For more, see the transcript of this week’s #steampunkchat on Twitter, available here.) I wanted to delve a little deeper into the part I know best — steampunk as a literary genre — and talk about where it begins and ends. The cover of one of the Girl Genius books. I’ll start with a rough, working definition: speculative fiction based roughly on the nineteenth century but written much later, often with the purpose of re-examining the assumptions and imbalances of the time — hence the “punk” part of the name. In practice, this often includes such visual tropes as steam or clockwork technology, airships/dirigibles/blimps, goggles, and corsets (in a Europe- or Western-based world). To see what this looks like, I highly recommend Girl Genius, a graphic novel series by Phil and Kaja Foglio (more about this below). Some of the earliest steampunk writers are K. W. Jeter — who is credited with coining the term — and Michael Moorcock, writing in the ’70s and ’80s. One of the early defining works of the genre is The Difference Engine by William Gibson and Bruce Sterling. They posit an alternate timeline in which punch-card computers and steam-powered carriages have been adopted into general use, with political and social changes to match. Because Gibson and Sterling are/were cyberpunk writers, the scientific underpinnings are strong enough that I would call their book science fiction. You can probably see by now that there are no clear lines around steampunk literature as it bleeds into other subgenres. (In other words, it’s a fuzzy set.) The Golden Compass and Perdido Street Station are solidly in the fantasy corner, and arguably not steampunk at all. Gail Carriger’s series is also paranormal romance. Whitechapel Gods and Perdido Street Station involve powerful, unknowable beings that could pass for Lovecraftian Elder Gods. What do you think? If you’re not familiar with steampunk, which part sounds like it might tickle your fancy? If you are familiar, what corners of it am I missing? (For starters, I haven’t mentioned anything based in other parts of the world.) Where do you see steampunk ending and other subgenres beginning? What’s the difference between high fantasy and epic fantasy? Here’s one well-reasoned argument. And here’s another one based on the level of the stakes. Ever wondered what Harry Potter would look like as a girl? Now you can find out: Genderswapped Harry Potter characters. When I am 101 years old, I want to be like this paragliding great-grandmother. Domythic Bliss had a wonderful series last week looking at mobile houses: Roma-inspired wagons, trucks, boats, and buses. Kristen Lamb debunks the myth that Real Writers never struggle. Ollin Morales writes about how chasing your writing dreams may not be enough — you also have to chase your other dreams. If you’ve been reading too many blogs or books on writing craft and tearing your hair out because you don’t write like that, Tahereh Mafi has an awesome post on how there is no right way to write. She also talks with beautiful openness about being a debut novelist (a.k.a. a Real Writer), how it changes you and how it doesn’t. That’s all for now, folks. Happy Friday! 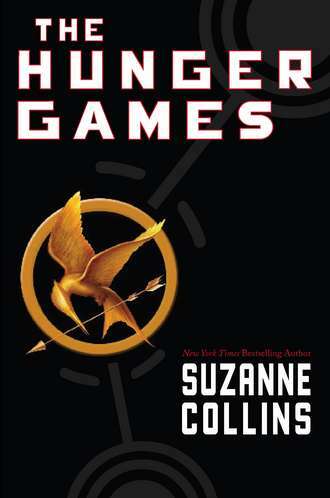 As you have no doubt heard, the film version of The Hunger Games by Suzanne Collins comes out this week. Even if you haven’t read it, you’ve likely seen the magazine covers or the ad campaign. Quick recap: the premise is that in a future version of the United States, teenagers are chosen to fight each other to the death in a televised reality show. Think Survivor, except more so. Throughout the book, we’re continually reminded of the reality show aspect. (Minor spoilers follow.) Before the games start, Katniss gets dolled up to present the maximum possible spectacle. When she’s in the arena, her thoughts keep returning to the viewers who are watching this brutal show — what they must be thinking, how they’re reacting to events. And so on. When the book was turned into a movie, we-the-readers suddenly became we-the-viewers. We’ve been placed into the position of the voyeuristic, bloodthirsty hedonists who are (metaphorically) munching popcorn as they watch teenagers thrown into an arena to die. Our gaze forcibly becomes their gaze. Are we looking at Katniss or Jennifer Lawrence? The moment when I knew I’d stepped through the looking glass was when I discovered the existence of Hunger Games nail polish. 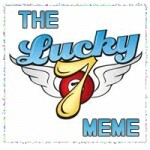 There’s official merchandise from CafePress, including T-shirts, water bottles, and 50’s-style propaganda. There’s unofficial merchandise from Etsy, including jewellery and other wearable stuff (WARNING: spoilers for later books in the trilogy). There are self-referential animated advertising posters (get Cinna’s gold eyeliner!). You get the idea. The more I discover, the weirder it feels. On the other hand…a book is not just a book. It’s an action-adventure story with plenty of drama and heartache, but it’s also a critique of our reality-show culture. Survivor and Extreme Makeover: Home Edition were one thing, but now we’re watching Toddlers in Tiaras and Jon & Kate Plus 8 — freak shows, really — and tuning in to the lives of rich people who are famous for nothing more than being famous. When people are inventing things like soccer with tasers, suddenly the Hunger Games don’t seem so unlikely. If you look at it that way, the fact that the Hunger Games nail polish makes me uncomfortable is actually a good thing. It reminds us that we’re viewers too. So when Katniss looks at the cameras and her face fills the screen, she really is looking at us. This week I’ve been reading a discussion around female authors, particularly in SF&F — how they don’t get talked about as often as men, or reviewed as often. Cheryl Morgan blogs about the (lack of) teaching of women writers in school. If this makes you angry, you might be interested in Ian Sales’s round-up of SF novels that feature only female protagonists (lots more suggestions in the comments). Are you Team Gale or Team Peeta? How about Team Katniss? If you’re looking for a hotel that makes you think of magic, check out these domythic getaways. Did your grandmother own doilies? Mine did. Appreciating the needlework of our grandmothers (with photos of beautiful lacework). Leo Babauta talks about breaking information addiction and other bad habits. Justine Musk has more to say on changing habits. Cora Ramos reminds us about voice and the inner child. That’s all for this week. Happy Pi Day, Happy St. Patrick’s Day, and beware the Ides of March. 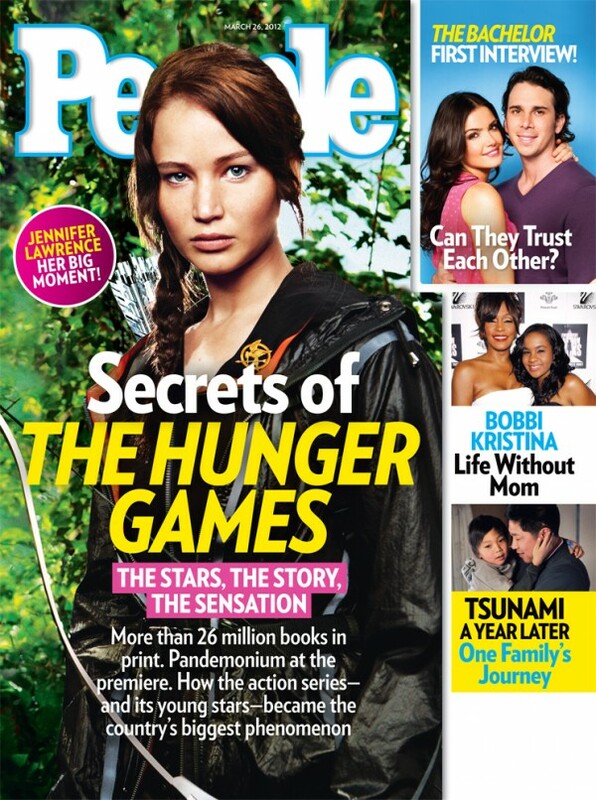 On Monday I’ll be writing about The Hunger Games in anticipation of the film release. Hope to see you back here then!